August 31, 2011 By Paula 46 Comments This post may contain affiliate links. Amazon seem to be sticking to their guns with their latest California update. For those that aren’t aware of the changes, recent tax laws have resulted in Amazon terminating the Amazon affiliate accounts for those affiliates residing in California. California Governor Jerry Brown recently signed legislation repealing the law that had forced us to close the program to California residents. We are pleased to invite all California Associates whose accounts were closed due to the prior legislation to re-enroll in the Program. Associates who re-enroll will retain all prior account settings (login, Associates ID, payment information, etc.). This isn’t the first state to have their accounts terminated. So far residents in Colorado, Illinois, North Carolina and Rhode Island are also no longer able to to participate in the Amazon Associates Program. For those living in the states that have been affected by the tax laws here a few suggestions. First of all, we can’t give you any specific legal advice but there have been many who have opened up companies in other states…legally. So you might want to login to your Amazon affiliate account and go to the Discussion Boards to see what others are saying about that. There is certainly a lot of discussion going on in there and lots of suggestions. Now I’m not going to go into the good and bad of these tax laws and whether or not Amazon is going about things in the right way or not but what I am going to do is go through a number of alternatives that you can use other than Amazon. And this is not just for those who can’t use Amazon. Even for the rest of us that are still able to use Amazon it is worthwhile diversifying a little and trying new merchants. Of course Amazon converts extremely well but in some cases you might have a nice little niche that will work just as well with a very niche merchant. And some of your readers might prefer buying from a very niche merchant who can answer specific questions and who knows their product in detail. So if for some reason Amazon isn’t converting well for you and you do have a very specific niche then you might want to try some of the networks listed below to look for a merchant who heavily targets your niche. So, if you are looking for alternatives to using Amazon then we can suggest the following. We use all of these affiliate networks on various websites and are all free to join. Commission Junction (aka CJ) has been around for a long while now. They were were the first network we signed up with when we started in this business. CJ has hundreds if not thousands of different merchants so you are sure to find a one to suit your niche. You will need to get approval for each merchant that you apply to. Some will give automatic approval as soon as you sign up with them and others will want to manually approve you. Don’t be offended if they don’t approve you. There are plenty of different reasons why you may not get approved – just email the merchant and ask if you really want to know. We don’t always get approved. Look for Overstock.com when you get there as they are very similar to Amazon with a lot of diverse products. Each merchant in CJ has different commission rates and requirements so make sure you read the terms for each merchant before signing up with them. CJ is easy to work with once you get the hang of it and they have a ton of product, text and banner links although this is dependent on the individual merchant of course. The only downside with CJ is that they don’t offer a deep linking tool to enable linking to any page on a merchants site like some of the other merchant networks. If it is offered it is only on a merchant by merchant basis and most merchants we have found don’t provide the service. However, this is not a huge issue because most merchants in CJ provide links to just about all of their products anyway. This is what makes CJ one of the best merchant networks because there are thousands of product links available. ShareaSale are another merchant network with a lot of niche merchants. ShareaSale is a good network to work with and they allow deep linking for all their merchants plus a heap of other neat tools like widgets, videos and mini-store creatives. Once you have signed up to ShareaSale it’s a good idea to sign up with CSN Stores (soon to be known as Wayfair). CSN are a network of very niche type online stores and we use them on a number of our sites. Linkshare has been around for a while now and has a lot of merchants but we’re not too fussed on their reporting interface. It started out kind of confusing so we didn’t use them too much. However they have improved over time although the reporting side is still clunky to work with. You are given a site id for each website, which is fine but all records and reports are held under those seperate site id’s so you have to spend time going into each website report individually, there isn’t an overview of all your sites reports. If you only have a couple of sites then this won’t be an issue but, if you are like most of us and have way too many sites then this does become an issue If I was starting out with them now, I would only register one site and consolidate all the merchant links under that site. They do have a lot of merchants to choose from so are well worth a look. Once you are in the link building phase LinkShare is easy to use and getting links is no problem. They also have deep linking which is really easy to use and the merchants also provide plenty of products, text links and banners for you can directly link to. Google of course has to be in on everything so they bought out a private affiliate network and made it all their own. The Google Affiliate Network isn’t too bad but it’s a bit clunky considering this is Google we are talking about. You would expect it to be a top notch system but in our opinion, it’s not. However, they do have some of the bigger merchants like KMart and Target for instance. Wanda reckons that Pepperjam is her favorite. She is the one who spends the majority of the time on our niche sites so she would know. You can create mini-stores, deep links and tracking ids and it is very easy to use. Each of these merchants make your life really easy when it comes to getting products onto your page. One thing you do need to watch is for when a product link has expired, this is not always obvious when you pick up the html from the merchant, and only some have the expiry date written somewhere so that you know it has expired. There are plenty more but those are some of the best ones to start with. Let us know which ones you use in the comments field below. I agree with your review of the affiliate sites above but one thing I have found is Commission Junction affiliates will terminate your relationship if you do not provide sufficient traffic to their site. Linkshare seems to have a user friendly interface and I’ve never had an issue with being terminated. I think the Google user interface is surprisingly clumsy and offers limited options but they are growing and I have no doubt they will improve over time. I hope Amazon finds a way to deal with the tax issue but sadly, I think they will make a go of it with out us! Thank you for your great blog! I enjoy your posts! You’re right about CJ merchants terminating accounts. We get that a lot but then again we signed up to hundreds of them back when we first started. We didn’t really need to. Now we tend to work on getting traffic first before we sign up to more merchants. One of my faves is ShareAsale, I love their interface and easy set up. They also have a good fair amount of merchants to choose from as does my 2nd favorite – CJ. A lot of people do really well with eBay. We haven’t really tried them apart from actually selling physical products but we have never used them as an affiliate. I am in California and was dropped by Amazon. I looked at CJ and the others in your post and none could really compete with Amazon for my products. Amazon had all of the different car seats I review and at the best price. I tried to find a company to replace Amazon and struck out. I’m now using Viglinks but am disappointed with the results so far. I’m able to sell Amazon products through them but I’m not getting the sales I was before being dropped. I’m very curious why that would be but it’s a major decrease. Now it looks like I’ll be trying to form a company based in Nevada as I’m running out of other options. Right now I definitely have a love/hate feeling for Amazon and probably more of the latter. Did you try buy.com? A couple of people have suggested it in the comments below. Hi Jerry, if you choose to relocate to Nevada, Amazon will require you to verify your new residence in Nevada. They won’t allow you to be a CA resident with an Out-of-state business. Buy.com is good. Some of their prices are a bit high, but they do convert. I also found products that were cheaper than Amazon even with CA sales tax, which I include as an advantage in my product review. This article is a great resource. Linkshare has Walmart.com in it, just as a heads up. They compete heavily with Amazon on pricing. I have been an affiliate marketer since 2005 and haven’t been able to master Google’s affiliate network – I really tried; I wanted to promote ProFlowers, but could not figure out how to get the links working! Additionally, many merchants have private affiliate programs. I work with dreamessentials.com, and they pay out 20%. It makes sense, as these big networks charge merchants a hefty fee to be a part of their network. Search for merchants in your niche, and you may come across some of these gems. It surprises me that the Google Affiliate Network is so poorly designed. I think the problem with Google is that they want to be into everything but that doesn’t mean they are good at everything. I am in CA and was disappointed when Amazon canceled my account. The same day, I heard from Buy.com. They have already worked out their tax issues in CA. Also heard from some smaller niche programs. I use ShareASale and LinkShare and have been happy with each. Thing is, Amazon has the cool carousels, etc. I miss that. ShareaSale and Linkshare have some cool little widgets and things as well. I like the Make a Page option from ShareaSale and Linkshare has something similar. Not as fancy as Amazon but they do the job. Thanks for an interesting and informative article…diversification is key to any online business. I was not aware of the ShareASale interface. Thanks again. ShareaSale know what they are doing. They often attend Affiliate Summits so they are constantly talking to affiliates and improving their system. I’ve learned that you have to stay on the ball that we can’t ever take for granted that a product page is set up once and for all, things can and do change. I found a good little niche with decent commission (15%)on Shareasale and just as I was starting to get a few sales the vendor removed the product from Shareasale. I had to redirect my links through Amazon for this product at way lower commission. I’ve had to make changes a couple of times for the same reason so it’s good to have other options open for times like this. Thanks for the useful posts! I find that although Amazon does often pay a lower commission they do convert a lot better and people tend to buy more than one thing from Amazon. So you may make up for it in those extra purchases. I absolutely hate Google Affiliate Network, it is so complicated! I hope they will improve, as they have interesting merchants. Shareasale and Linkshare are my favourite ones, plus some local German affiliate networks. I would think that Google will improve although they are a bit slow to do it compared to some other systems that they produce. It could be a fantastic network and it does attract some of the bigger merchants. It’s a shame really. Actually, this is a great post b/c it’s good to have a backup plan. Buy.com has an affiliate program too – I have no idea if it converts well – never used it. But I think I remember reading somewhere that they were trying to compete with Amazon. We haven’t tried Buy.com but we’ll keep it in mind. I think they are with Linkshare. Overstock.com is a similar merchant. They all have a diverse range of stock and they are becoming quite well known so people are more likely to buy from them. We have affiliate relationships through LinkShare, ShareaSale and Commission. While Amazon is the largest money maker we have on our sites and a primary focus (can’t argue with the conversion factor), I do appreciate having access to the Affiliate managers with the niche stores we promote. They’ve been helpful and responsive to our questions and concerns. You must be be lucky Grant because we generally find the opposite when it comes to affiliate managers. We tend not to get a response too often. That experience has been with just a couple of stores in a specific niche. Their affiliate managers seem to be pretty proactive. We haven’t ventured into other niches using LinkShare and others, so our experience might be unique. That’s sad to hear. Thanks Paula for another great post. Do you think that as someone like myself who has set up the first site or two using amazon that I should straight away diversify? I have seen some sales and traffic is building on those sites. I know they say the 90/10 or 95/5 rule of backlinking to site building but I am curious to try other vendors? Also can you have multiple vendors for one site or is that not a good idea? You can definitely try out different merchants at this point Charles especially if Amazon is not converting well for you or if you just want to see if a niche merchant might convert better. And yes you can have multiple vendors on the one site. We do it all the time. We focus mostly on Amazon but have a number of other very niche merchants in the mix. Thanks for the list. I’m with all but Pepperjam, so I’ll have to check them out too. Appreciate the article! Pepperjam is great Adam. I have been playing around with it a little more lately and like the interface. This was something on my mind lately because I realize that a good chunk of my income comes through Amazon and if it were to suddenly drop I would be in a world of hurt. I think something like ShareASale would really step up and take over in the event that it did. One way that I want to get out of Affiliate Marketing all together is to become a reseller for the type of products I have on my site and basically form it into ecommerce. ShareaSale is pretty good. Plus you might also want to try Buy.com or Overstock.com as they are very similar to Amazon. Not sure about conversion rates though compared to Amazon but they are something to keep in the back of your mind if you ever have issues with Amazon. Thank you for having a great post and frankly, I enjoy reading with it a lot. I have to agree with your review of the affiliate sites above but one thing I have found is Commission Junction affiliates will terminate your relationship if you do not provide sufficient traffic to their site.I hope also that Amazon finds a way to deal with the tax issue but sadly, I think they will make a go of it with out us! Yes we have been dumped by some of the merchants in CJ in the past. Some of our sites don’t get a lot of traffic so I don’t blame them. It could be that CJ charges them per affiliate which may be why they drop us. I’ve recently read in a few places now that some Amazon affiliates have been dumped for cloaking their affiliate links. Is cloaking affiliate links now against Amazon’s TOS? I don’t know the specifics of this but why would anyone mask an affiliate link? Every affiliate I work with requires full disclosure of affiliate relationships. To do otherwise is shady. I have much more respect for a site that discloses rather than tries to hide the facts. Mostly it’s done to prevent PR bleed and prevent commission theft. But it also looks a heck of a lot better. is a lot more readable than the actual Amazon link. Just to clarify what I meant by framing, a number of cloaking tools create a frames page when they cloak a link. This results in the merchant site, in this case Amazon, being displayed on a page on your website. Amazon doesn’t like this. Ok, that makes sense. Thanks. Not sure why anyone would do that anyway. I’d want buyers clicking through to see Amazon in the URL. I would think seeing my piddly little site name in the URL would lower the trust level for a buyer. As a California affiliate, I moved my business to Nevada, but if you choose this option Amazon will require to prove that you indeed reside in the new state. They will give you a choice of several type of documents to submit to verify your new residence. Also, Gov. Brown and Amazon have agreed on legislation that will allow Amazon to open several distribution centers in CA, in exchange for a 1-2 yr moratorium on sales tax collection. In the meantime, Amazon and the state are working on a way to charge a small sales tax on internet sales that will be a win-win for both. Once the moratorium goes into affect, CA affiliates will be allowed to participate in the Affiliates Program as CA residents. I have found several other websites that have affiliate programs, don’t charge sales tax and are competitive with Amazon. You just have to look. Pepperjam is a good option, and has offers in every niche. I am also marketing several health related products where the company has their own in-house affiliate program. These companies charge sales tax, yet this has not hurt my sales at all. The key is to diversify. Thanks for this info Ken. I did notice on the Amazon Associates forum that people were starting to receive documentation asking them to prove which state they reside in. So getting around it by opening a company in another state isn’t going to work too well. Let’s hope the moratorium goes through. Actually it works well as long as you can prove residency. Amazon gives you several options. If you set up a corp or an LLC in another state, you will need to have a resident agent. Find one that will allow you to use them as your business address. The Amazon/CA will go through it is just a matter of time. We can’t provide detail on the news related to a settlement on California sales tax, but we will contact you as soon as our ability to operate the Amazon.com Associates program in the state of California changes. We have appreciated your partnership in the past, and look forward to an opportunity to work with you in the future. Thank you for your interest in Amazon.com Associates. Thanks for posting this Lester. I guess it’s just a matter of ‘wait and see’ now. I wonder what you ladies think of Skimlinks? This is being hailed as the fallback network once Amazon terminates your account. I haven’t tried them personally bu heard they are in the 8% tier with Amazon? Someone else mentioned Skimlinks to us. We took a quick look and it looks okay but a bit hard to tell without logging in and actually using it. Obviously you are going to have to share your commission but I guess it is better than nothing. And you would want to hope they are in the 8% tier since they are making use of other people to get to that commission rate. As individuals we get to the 8% rate so they should be able to do that without any problem. Amazon is such a big company, but this can be a huge deal for them. Poor affiliates in California, maybe relocating to a different state might help out with this current issue but I believe that Amazon will require a proof of some sort to indeed prove that a person has transferred areas. Amazon have just reopened their affiliate program to California associates. Apparently the governor repealed the law and Amazon are now asking for California affiliates to re-enroll. This is great news! Great article! Thanks for all the recommendations. I am new to the affiliate sales and happen to live in one of the states impacted by the legislation. Everthing I learned in regards to affiliate sales was catered towards Amazon. It’s nice to learn of all the other options. 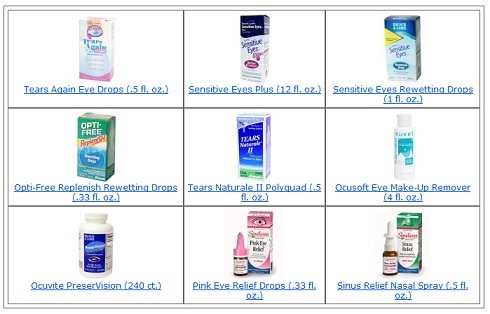 I do like that Overstock.com has a wide variety of products.